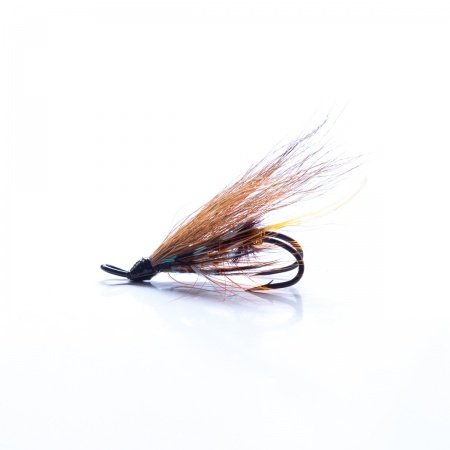 THE THUNDER AND LIGHTNING SALMON FLY PATTERN Of all the old classic salmon flies it is probably the one which is most used today in its modern form. 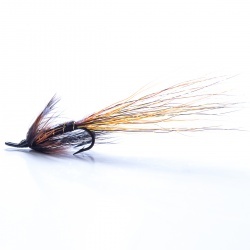 The color combination of black, orange, brown and gold has proved effective on salmon rivers all over the world. 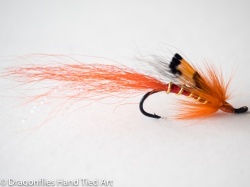 It is a fly that can be relied upon to give a good account of itself on almost any salmon river where it is fished. 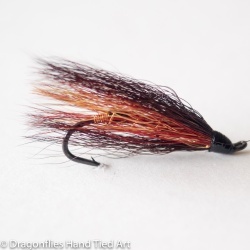 The Thunder and Lightning was once known as the "Great Storm" fly as it received it's name because it is particularly successful on rivers that are naturally dark, on rising water or where a spate is running off and the water is that dull brown color.